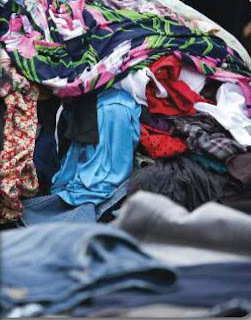 A few brands are donating their unsold clothing to the New Life Foundation, (generally with all labels in the garments removed) however it is still estimated that 1.2 million tonnes of clothing are still heading for landfill. Also mentioned is the Defra Sustainability Road Map which is working to combat this problem. I will write more about this scheme in a later post.